Shoei has announced the introduction of the Shoei J-Cruise, an all-new, high-end, open-face helmet incorporating Shoei's advanced, race-bred technology and innovative design features. The Shoei J-Cruise is aimed squarely at the premium end of the touring, scooter and cruiser markets, where the more discerning consumer demands the best in design, comfort, style and practical performance. 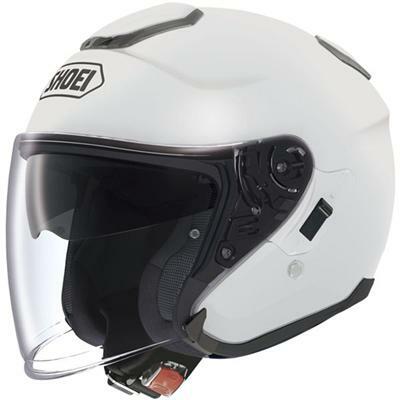 The Shoei J-Cruise is designed to offer the ultimate in comfort, with particular attention paid to easy fitment and removal. It incorporates an extended, flip-up visor, which fits precisely with the shell to minimise wind noise and the ingress of rain, while maintaining optimum anti-fog performance. The screen can also be fitted with the Pinlock anti-fog system if desired. The helmet is also prepared for intercom installation. A click up/down internal sun visor is built into the compact shell and conforms to the strict EN-1836 European standard for sunglasses. It is operated by a secure click slider on the left hand side of the helmet. An enhanced ventilation system with a single adjustable upper air intake and twin rear outlets helps to maintain comfort and concentration as well as assisting the screen and sun visor anti-fog performance. Close attention has also been made to the detail, design, fit and material choice of the fully removable internal components in order to maximise comfort and to facilitate the use of glasses or sunglasses and the cleaning of the internal surfaces. 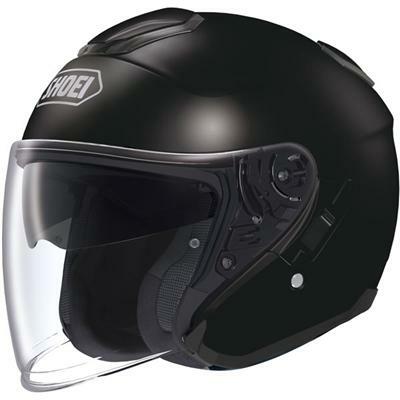 Shoei's AIM (Advanced Integrated Matrix) high-performance, multi-layer glass and organic fibre shell structure offers both light weight and strength, while the exterior design makes full use of Shoei's aerodynamic expertise, optimising air flow both over and through the helmet in order to maintain helmet stability and comfort at all speeds and in all conditions.